Posted in: Radio Control, Traxxas. Tagged: RC. Why is a LiPo battery better than NiMh battery? Lipo batteries have a low internal resistance. Due to this, a LiPo battery doesn’t expel energy getting hot, which gives it a longer runtime. A lower internal resistance allows the LiPo to hold a higher voltage under load compared to a Nimh battery. This not only gives you a longer run times, but a faster run as well. When you first put your NiMh battery into your RC, you get your best power and it quickly dies off until the battery is dead. With a LiPo battery you get that same power throughout your run time, which is longer than NiMhs. Making the jump from NiMhs to LiPos can be difficult decision; this page will help to make things easier. Even if you have been running LiPos for awhile, there is good info in here for you as well. We want to give a big thanks to Jimmie Neutron on the Traxxas forums, for allowing us to share his hard work. 10) ALWAYS keep your LiPo pack well balance. A 2200mah 20-40C pack that states a 2C charge rate. This battery pack can be charged at 4.4 amps. – Please note that if no charge C rate is stated, 1C is standard. The same 2200mah 20-40C pack. This battery pack can consistently provide up to 44 amps. Again, the same 2200mah 20-40C pack. This battery pack can provide a peak discharge rate of up to 88 amps. Peak rates are limited in time… unfortunately; this amount of time does not have an industry standard. This is how a lot of inflated discharge ratings can be claimed. In my experience, honest retailers/manufactures of packs will list the constant discharge rating along with the burst discharge rating and not only the burst rating. Running two LiPo’s in parallel will double run time and also your available amperage… which is handy for high demand systems. Some misinformation I have read about the discharge C rating of packs in parallel is that the rating of the pack doubles. This is not the case. The C-rating of a battery pack is a fixed parameter of that pack; well actually it is the cells within the pack that have the C rating. Connecting two packs in parallel does not change either pack as they still have the same specifications, however it does create a battery “system” with twice the effective C rating. The packs are the same, but the parallel system is now theoretically capable of discharging at twice the Amp rate. This is much like the cumulative capacity available when connecting two packs in parallel. The packs ran in parallel MUST be of the same cell count and should be the same age, capacity, and brand. Running two LiPo’s in series will double voltage, therefore nearly doubling the speed of your RC. Capacity remains the same. The two packs ran in series MUST have the same capacity and discharge rate. Also, they should be of the same age and brand. Be prepared to gear down when increasing voltage on your power system. There are many LiPo charging options out there… it can get really confusing really fast. The best advice I can give is to get the absolute best charger you can afford and to ask before you purchase. Your charge system is the backbone of your electric RC hobby, treat it as such. RC’s will come and go, but your charge system will remain. The following features are what I consider to be the absolute bare minimum for a charger… balance charging and a storage charge/discharge feature. If the charger cannot perform these tasks, look for another charger. If you are going to be charging multiple LiPo’s at the same time or 10th scale or larger packs, I recommend getting a charger that is capable of at least 10 amps or more. Also, ANY half-decent charger can charge multiple LiPo’s at a time. It does not require a dual or multi-charger to perform such a task. It only requires the right support equipment… such as a ParaBoard, which I use. ALWAYS charge your battery in a Lipo sack or protective case. Storage voltage is 3.85v/cell. 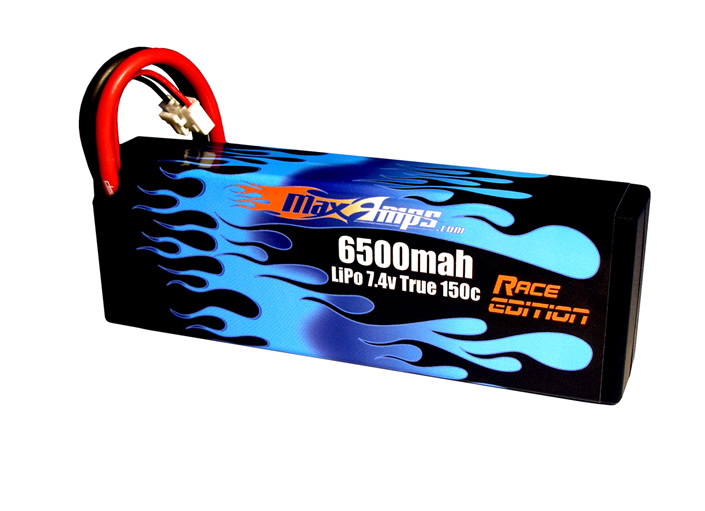 This voltage is the only voltage that is not super critical for LiPo. Anywhere between 3.5-4v/cell is considered to be acceptable for storage. I suggest putting a full pack to storage voltage if it is not going to be used within 30 hours or so. The longer a pack is at full capacity, the shorter its lifespan will be. I also suggest bringing a pack up to storage voltage after a run. When a LiPo’s voltage lowers to a certain point, they begin to loose their voltage quickly. I would hate to see you loose a pack (or more) due to not charging up within a few hours after a run. For long term storage; I bring my packs to storage voltage, seal them in an airtight container, and stick them in the refrigerator. As I type this, I have had my “speed” set of 3S packs in the fridge for over 8 months at storage voltage… I check them monthly and they are still at 3.85v/cell. Almost makes me regret buying them. lol. ALWAYS store your battery in a Lipo sack or protective case. I will just give an example of how much a small change in how a pack is taken care of can dramatically change how the pack behaves. Two identical packs were both charged and discharged in the exact same matter…. except one pack was charged to 4.20v/cell and the other to 4.10v/cell. This was done in a very controlled environment… NOT in an RC. After 500 cycles, the pack that was charged to 4.20v/cell had reached its life expectancy… it would not take more than 65% of its original capacity; meaning the LiPo was no longer able to be used safely. The pack that was charged to 4.10v/cell was still at 70% capacity after 1,000 cycles… so the .10v/cell difference more than doubled the life expectancy.